Other than the game during Super Bowl LII, one thing that caught the interest of viewers was Jimmy Fallon and Zooey Deschanel, who looked like they were sitting together. Of course, people took to Twitter, and it created a lot of buzz. 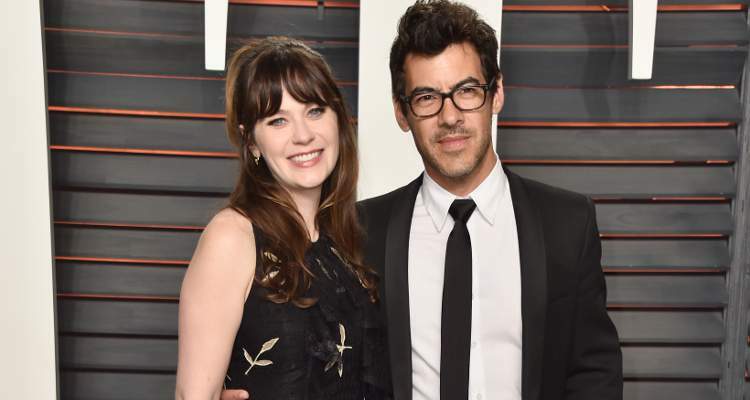 Zooey Deschanel has been married to Jacob Pechenik for quite some time now. If you want to know more about Zooey Deschanel’s husband, then keep reading for details from Jacob Pechenik’s wiki. Jimmy Fallon and Zooey Deschanel are the talk of the town. Those who watched the Super Bowl 2018 think they saw the two on the jumbotron. Naturally, people took to Twitter and started questioning if something was going on between Deschanel and Fallon. However, Deschanel is happily married to Jacob Pechenik. So, if you are curious to know more about him, then we have some interesting facts for you right here! Jacob Pechenik’s age is 44, and he is a movie producer. Pechenick reportedly met Deschanel on the set of Rock the Kasbah. He was also an executive producer on Before Midnight. Other movies Pechenik worked on include The Skeleton Twins, Terri, Kiss of the Damned, We Are What We Are, The Inevitable Defeat of Mister & Pete, Jobs, The Immigrant, Hateship Loveship, Devil’s Knot, Life of Crime, Cold Comes the Night, Song One, Electric Slide, Black or White, Unconscious, and Solace. Pechenik is also the executive producer of You Can’t Win. It is scheduled to be released in 2018. Besides focusing on his career, Pechenik also started The Farm Project. The pair reportedly started dating in mid-2014. By January 2015, Deschanel announced her engagement to Pechenik. The two were not only engaged, but they were also expecting their first child. Deschanel and Pechenik walked down the aisle in June 2015. Their daughter, Elsie Otter Pechenik, was born in July 2015. The pair welcomed their son, Charlie Wolf Pechenik, in May 2017.